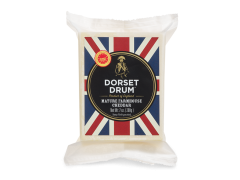 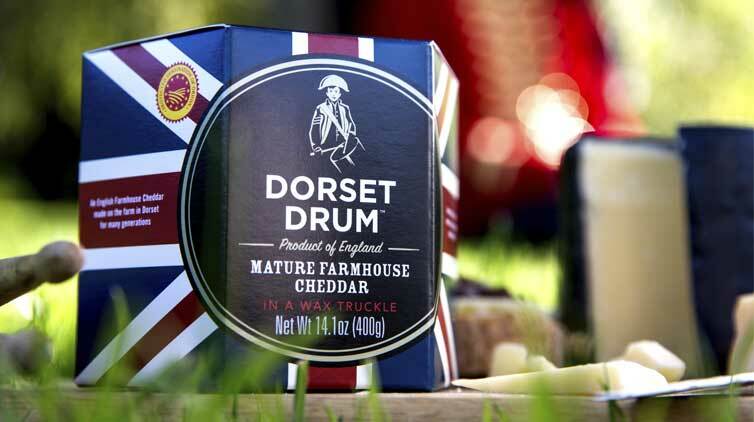 Dorset Drum is an authentic English Farmhouse Cheddar. 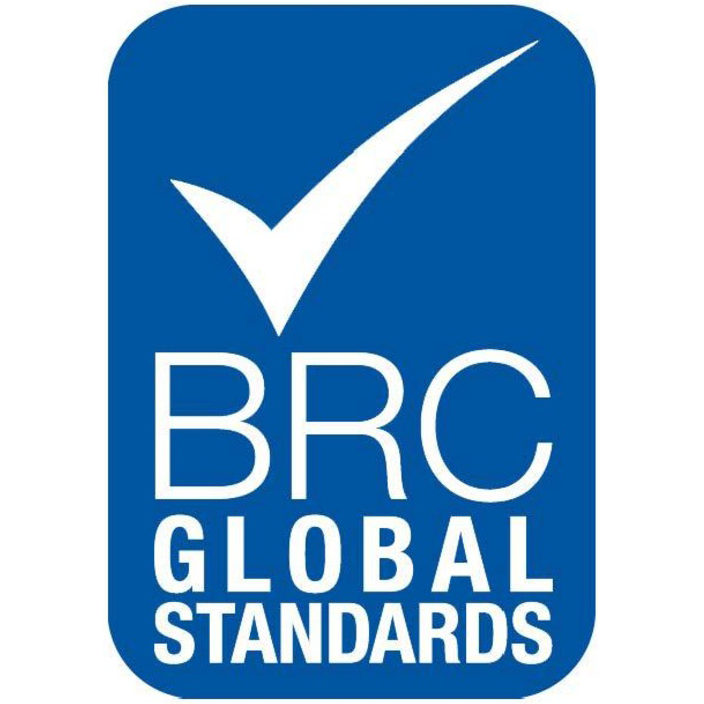 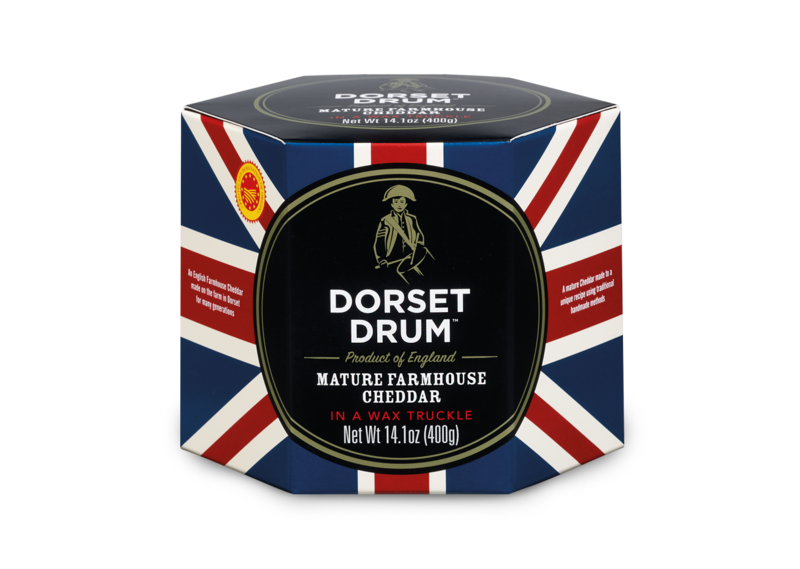 It’s one of only a few Cheddars to carry the world renowned Protected Designation of Origin (PDO) status for Farmhouse Cheddar. 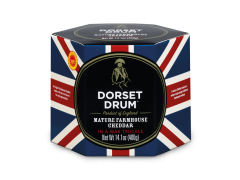 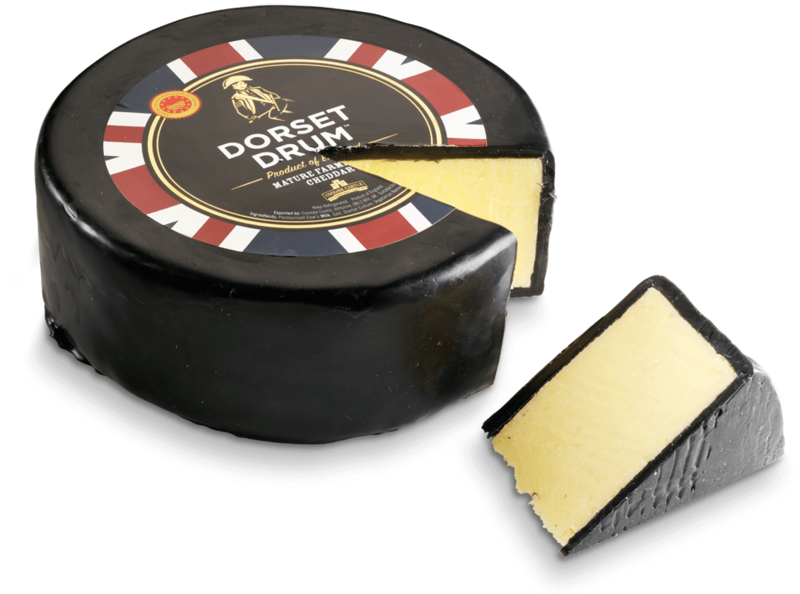 Dorset Drum is made on a farm in Dorset, using milk from herds that graze on the lush, green pastures of the South West of England. Made to a unique recipe, using traditional handmade methods, Dorset Drum is a mature Cheddar with a full depth of flavour. 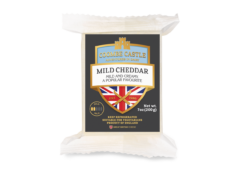 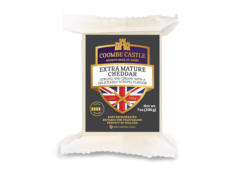 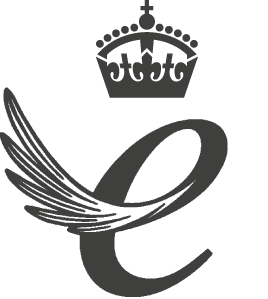 An exceptional tasting Cheddar ideal for all occasions. 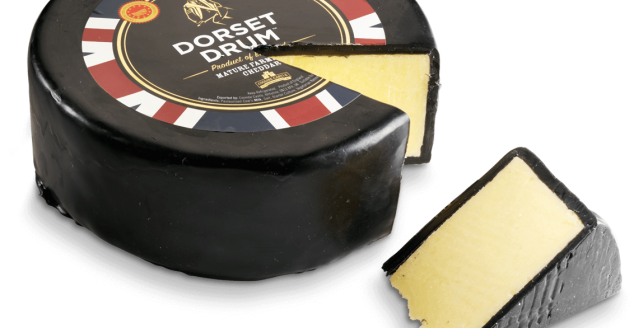 Pasteurised Cow’s Milk, Salt, starter culture, vegetarian rennet.